Since 1993, RinkSport has been on a mission to arm aspiring female student-athlete hockey players with the knowledge they need to go from ‘prospect’ to ‘recruit’ in order to reach their college hockey goals. We are committed to connecting some of the most knowledgeable women’s hockey coaches with future college players through our RinkSport programs. Please take a look at our ‘Inside Look‘ videos to get a snapshot of our College Development Program in action! I have worked RinkSport for the last 15 years because Kush has consistently developed women’s ice hockey players by creating an environment that is conducive to learning. 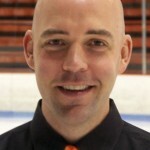 He has brought together excellent college coaches who collaborate to teach hockey to motivated players. I keep working the camp because of the quality of the people. We have so much fun and we all learn from each other. RinkSport was a huge part of my development as a player and a student. It provided me with a focus and gave me a template on what I need to do in order to reach the next level and how I need to do it. 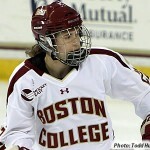 It helped me figure out what it takes to not only get to the NCAA level in hockey, but to excel there as well. And it was a blast—I met a ton of awesome people who I am still friends with. It was just an all around great experience.